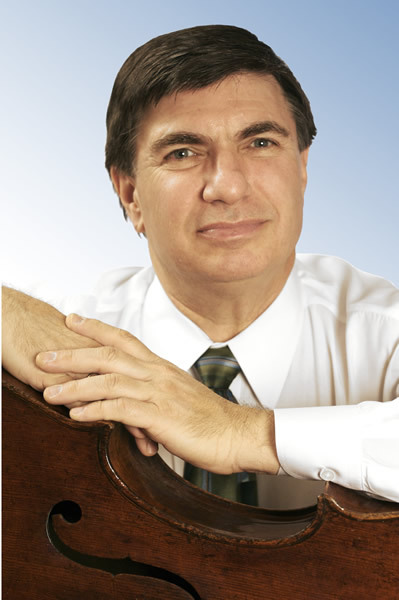 In this second installment of our interview series with cellist, musician, pedagogue, and Ovation Press editor Jeffrey Solow, Mr. Solow discusses some of the scores that he has arranged for us, sharing his professional experience as an editor. If you have not yet read part one, we encourage you to check it out to learn more about Mr. Solow and his teaching philosophy. 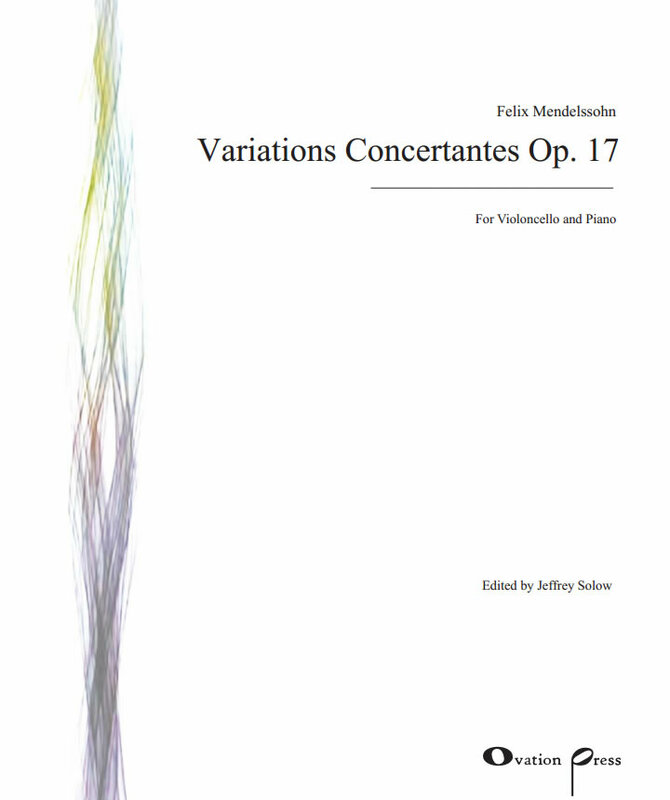 String Visions: Another of your important contributions is the large body of editions and music that you have edited, arranged, and published. With Ovation Press you have published the Beethoven Kreutzer Sonata and the Mendelssohn Variations Concertantes among other works. For the Kreutzer Sonata, what was your inspiration to arrange that for cello and piano? 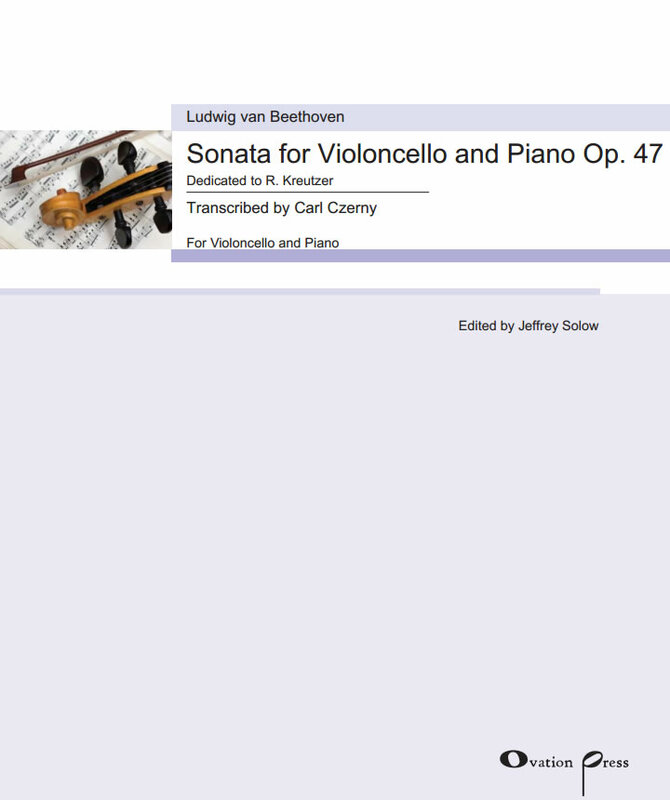 Jeffrey Solow: Dimitry Markevitch, who had one of the world’s great cello music libraries, discovered what was probably the single surviving copy of a version for cello published during Beethoven’s lifetime, which was transcribed by Czerny. Dimitry had it published in facsimile by Presser. Other people had arranged it for cello, too. Grutzmacher did it and also Franchomme, who did all the Beethoven sonatas. I have the Grutzmacher version, and I thought that neither Grutzmacher or Czerny were successful, both in their respective ways. Although they both had good ideas, there were many things that could have been closer to Beethoven’s original. In the Czerny version, there are things that he put on the G-string because they are on the G-string on the violin but that I don’t think sound right on the G-string on the cello. So I kept experimenting, trying things in different octaves and with different combinations of notes, seeing how they sounded with piano, and finally came up with a version that I thought was more successful for cello. String Visions: Have you played your version of the Kreutzer a lot over the years? Jeffrey Solow: I have played it a number of times and love playing it. It’s such great music and the cello part, like the violin part in the original version, is so much more balanced with the piano part. In the cello sonatas it’s really always two-thirds piano and one-third cello. String Visions: That’s true. When you have played it, do you remember the response from cellists and the response from violinists? Jeffrey Solow: Violinists have not rejected it. They’ve even told me they liked it. General audiences often don’t even know the Kreutzer in the violin version. And I’ve had good response from cellists, too. String Visions: Yes it is such fantastic music so just being able to play it is a great thing. You also have an arrangement of the first Mendelssohn Sonata…? Jeffrey Solow: …right, which I’m still working on—both that and the Variations have the same issues because he wrote both those pieces for his younger brother who was an amateur cellist. So Mendelssohn, who was such a great pianist, gave everything to the piano—especially in his first sonata, which is such a wonderful piece of music. When I play the first sonata in the original version I feel like I’m playing a piano trio with no violinist because the cello is on the G-string so much of the time. So I thought, “I think it’s possible to help the cello part out and do sort of what Feuermann did with the Chopin Polonaise Brilliante.” Actually, Feuermann was just the last in a long chain of people who stole things from the piano part of the Polonaise, starting with Franchomme, Chopin’s friend, who was the first. String Visions: Really! I didn’t know that. Was that ever written down? Jeffrey Solow: Absolutely. It was published. I’ll send you the cello part. 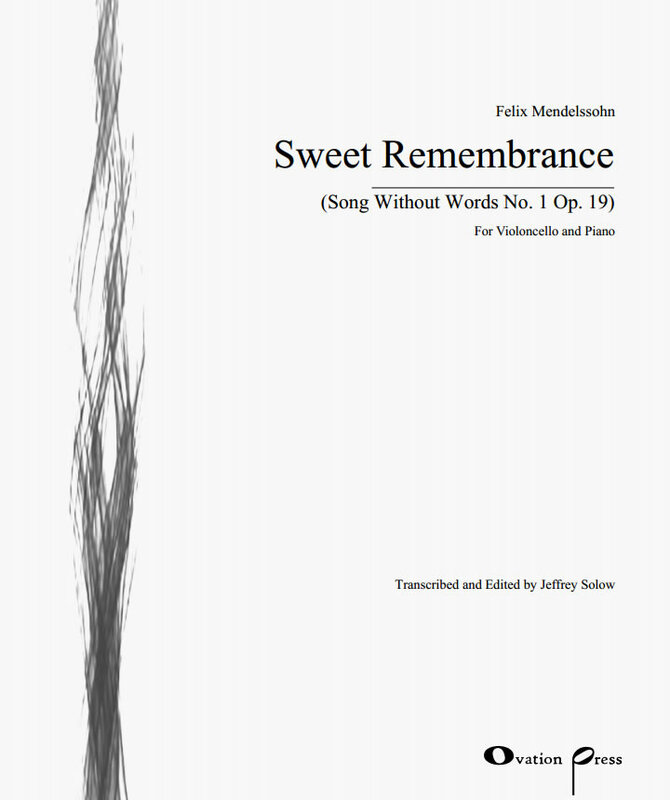 String Visions: What version do you think Feuermann used when he made his arrangement? String Visions: I think there was a problem when Rose first published it with International. String Visions: Yes, your two versions are terrific and the changes make them much more brilliant. Jeffrey Solow: I’ve played both several times. The music is so wonderful and I think my changes sound fine. You know of course, there are other pieces that people edited versions of: for example, the Tchaikovsky Violin Concerto. Until recently nobody played it as Tchaikovsky wrote it. Everybody played either Auer’s version, a slightly revised version of Auer’s version, or Oistrakh’s version of Auer’s version, and it’s only recently that people play the original Tchaikovsky unedited. String Visions: That brings up the Rococo Variations? Have you ever played the original version? Jeffrey Solow: Not with orchestra. I did a lecture demonstration on it once, so I had to learn the original. I didn’t play the whole piece straight through, but I played both versions of different sections. There are things that I like in the original but altogether I prefer the Fitzenhagen version. String Visions: I also like the original version very much because it is much more in the Rococo style. Jeffrey Solow: …which I still think is very beautiful—he did a wonderful job with it. And it is authentic, it’s just an authentic 19th-century view of the concerto. Grutzmacher’s idea for the theme of the last movement was a brilliant idea. String Visions: And Boccherini might even have liked that version. Jeffrey Solow: I think he would have. String Visions: Yes, we take things so literally nowadays. As an example, the Schumann Fantasy Pieces were written for clarinet and piano, but in the first performance it was performed for violin and piano with Clara Schumann at the piano. Composers were more free and open to new ideas. Jeffrey Solow: I absolutely agree. Stay tuned for part three, when we will wrap up this series and meet Jeffrey Solow the classical music advocate!